CTO do Brasil are located in Sao Paulo with over 40 years' experience in handling special projects. 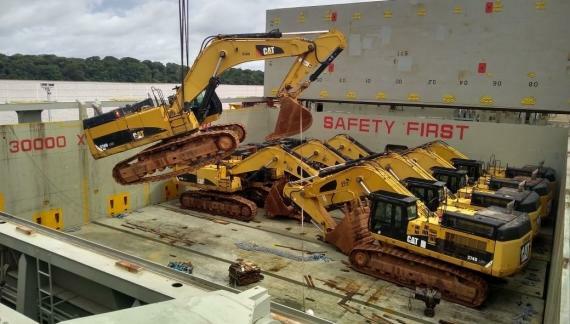 Following from their recent article, they have again handled a shipment of Caterpillar excavators. 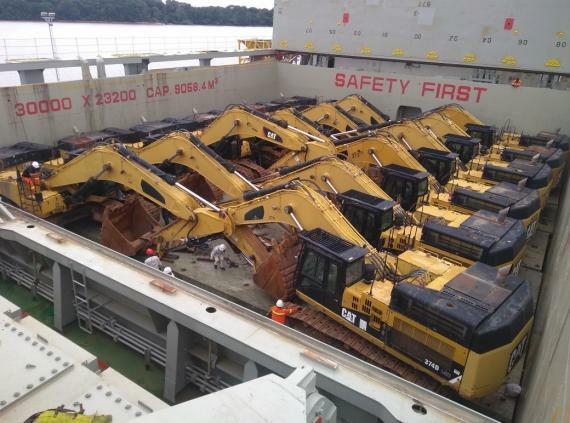 This time, 25 units to China. 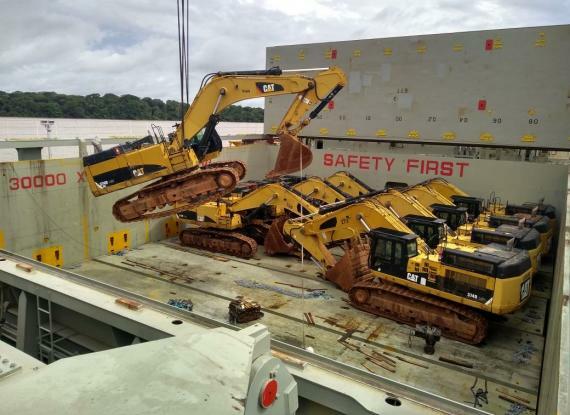 The excavators were transported from the shipper's plant to the Port of Outeiro in North Brazil by barge and then transshipped to a breakbulk vessel and moved to China. 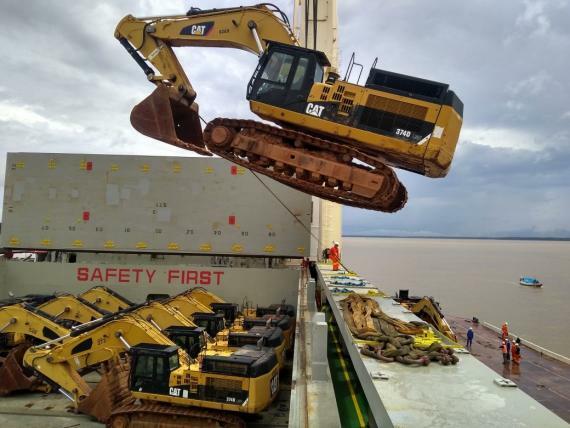 Photos of the shipment can be viewed below.